When I want shredded beef I turn to either brisket or chuck roast due to the extensive marbling. In order to fully break down the fat, you will want to cook it at a higher temperature, usually above 155°F (68.3°C). Brisket and chuck cooked for lower temperatures for several days are great but they have the texture of steak and aren't nearly as shreddable. My favorite time and temperature combination is probably 156°F (68.8°C) for around 18 to 24 hours, it's shreddable but not too tender. Some other popular combinations are 165°F (73.9) for 18 to 24 hours or 176°F (80°C) for 12 hours. 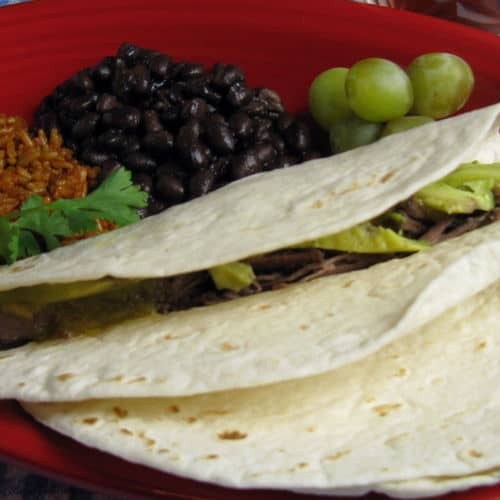 I turn the shredded beef into flavorful carnitas covered in a sweet and spicy tangerine-chipotle sauce. Then I serve them with corn tortillas and avocado so they are easy to pick up and eat. If you would like more information about the modernist techniques, ingredients, and equipment used in the sous vide beef carnitas with tangerine-chipotle sauce recipe you can check out the following. Preheat a water bath to 156°F (68.3°C). Mix together the spices in a bowl. Lightly salt and pepper the roast then coat with the spices. Place the roast in a sous vide bag then seal. Cook the roast for at least 18 to 24 hours. Combine all the ingredients in a pot. Bring to a simmer and let cook for 10 minutes then blend well. The sauce can be made several hours ahead of time, just blend in the sous vide juices when they are ready. Remove the roast from the sous vide bag. Shred the beef and set aside. 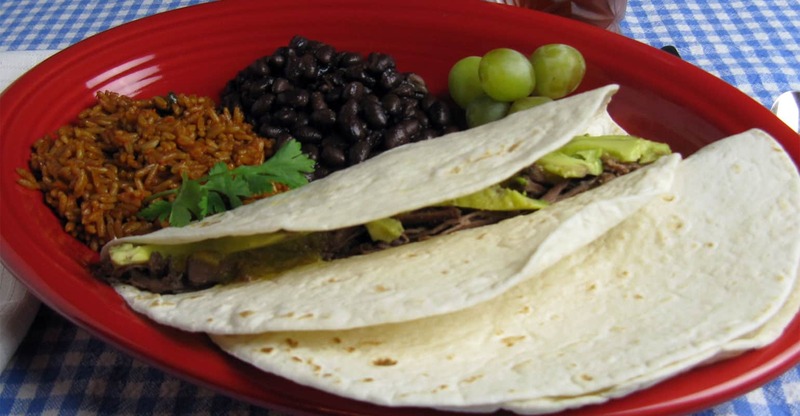 Place a tortilla on a plate and add some of the shredded beef. Top with the tangerine-chipotle sauce and avocados then serve. For a more upscale presentation the tangerine-chipotle sauce can be turned into fluid gel pudding which greatly adds to the mouthfeel of the sauce. When you combine the ingredients for the sauce in the pot blend in 0.6% agar. After it is done simmering pour the sauce into a container so it can set completely. Once set, puree well with an immersion or standing blender. The sauce can still be made several hours ahead of time. Turn sous vided brisket or chuck into shredded beef for flavorful carnitas covered in a sweet and spicy tangerine-chipotle sauce. Serve them with corn tortillas and avocado so they are easy to eat!